ONE OF THE LARGEST STROLLER ORGANIZERS ON THE MARKET! Children 'n Us Super Stroller Organizer has a LARGE CAPACITY to carry all of your IMPORTANT BABY BELONGINGS! Comes with a pocket for your SMARTPHONE; a VELCRO pouch for your pacifiers; TWO INSULATED BOTTLE spots, to hold your BABY'S and YOUR beverages; a ZIPPER pocket to store your KEYS; and an EXTERNAL POCKET for your baby's DIAPERS or other URGENT moments!!! BONUS E-BOOK! Ordering Children 'n Us Premium Stroller Organizer, you will be given access to a totally free special EBOOK to download, with a lot of tips of how to take care of your CHILDREN! Our EBOOK was specially made BY MOMS FOR MOMS!!! *** HAPPY CHILDREN AND PARENT OR YOUR INVESTMENT BACK***! At Children 'n Us, we are driven by OUR CUSTOMER SATISFACTION. If YOU or YOUR CHILDREN don't feel 100% SATISFIED with our STROLLER ORGANIZER, we are offer you a 100% MONEY BACK GUARANTEE - NO QUESTIONS ASKED. BUY WITH THIS SENCE OF SECURITY RIGHT NOW!!! ADJUSTABLE STRAP TO ATTACH AND FIT TO ANYTHING! 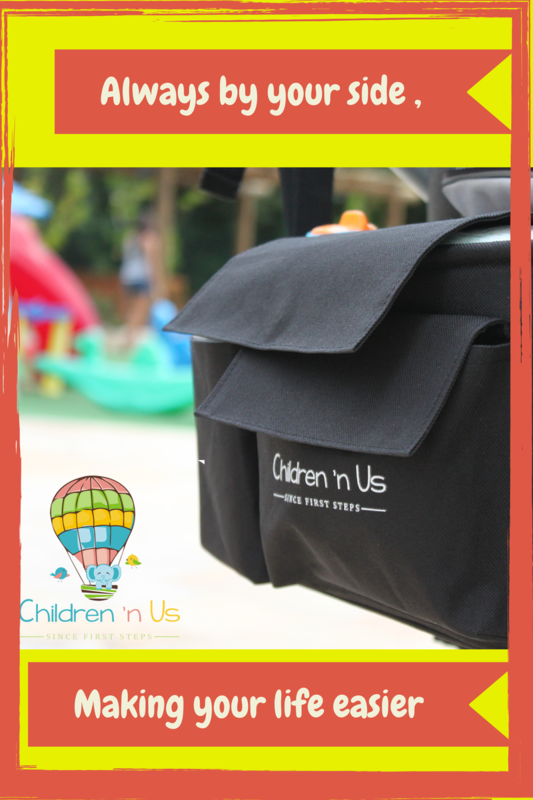 Children 'n Us Super Stroller Organizer can be used in all of your moments with your kids! Fits most BABY STROLLERS; can be used on your BIKING RIDES; also useful in your CAR, giving your kids the chance to get their own water bottle or toys!!! And also used as a HANDBAG, giving to you the freedom to take it ANYWHERE! 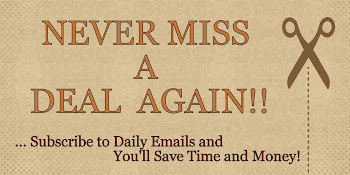 With just ONE PRODUCT, you have SO MANY DIFFERENT WAYS to use it!!! ENJOY YOUR OUTINGS WITH YOUR CHILDREN! Children 'n Us Premium Stroller Organizer is something you can always RELY ON regardless of where you need to go on a DAY TO DAY basis. It can FIT ALL YOUR BABY'S NEEDS while keeping it all completely safe and protected. It has a TON OF STORAGE too. Allowing you to BRING EXTRA ITEMS just in case of any emergencies. This will help you FIND WHAT YOU NEED, when YOUR BABY NEEDS it. You'll be VERY HAPPY with this baby bag as it carries everything -- AND MORE. With all the USEFUL FEATURES and storage space, it makes traveling with your baby an ABSOLUTE JOY!!! Wow! 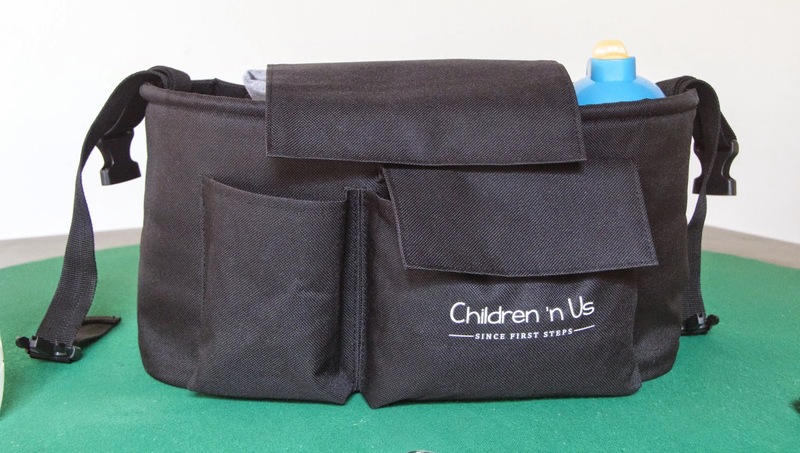 This Children 'n Us Stroller Organizer is great! 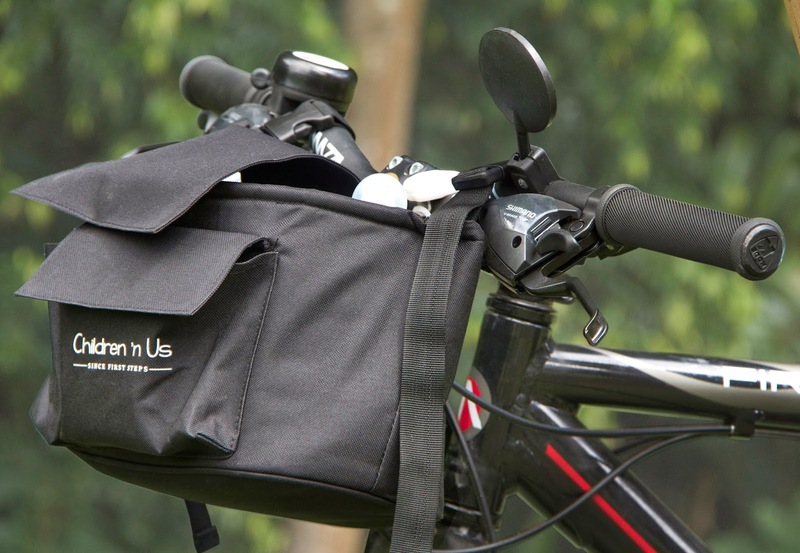 With it's great size and different compartments, it was so easy to carry diapers, bottles, wipes, etc. for my kids, but also my cell phone, wallet and keys. It has adjustable straps and two clips that will clip on to just about anything. I was able to use this organizer on both my large stroller and my umbrella stroller, my bike and on the back of the seat of my car. I also love that the inside is insulated, so it keeps the bottles and drinks cold. Overall, great quality and very roomy. Able to hold all the essentials when traveling with the little ones. I would definitely recommend this to any parent or any new parent to be! If you would like to try it out for yourself, you can purchase Children 'n Us Super Stroller Organizer right now from Amazon! I received a similar organizer by Dot&Dot during my baby shower. I love it and I've been using it since we started going around with my little one. I can place all the essentials in it and it can also be used on different strollers, as a car organizer and a small diaper bag.